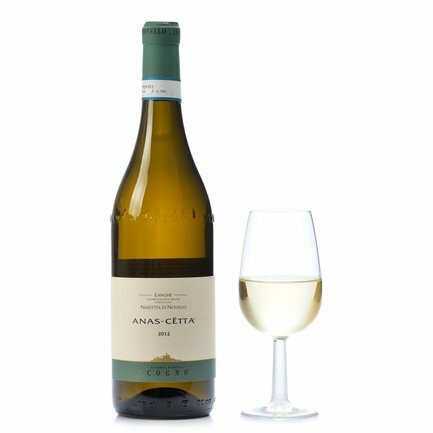 Anas-Cetta is a wine historically connected with the Piedmontese town of Novello. It is made with Nascetta, a local white grape. Notable for its dense straw-yellow body with golden highlights, on the nose this is a delicate and graceful wine yielding sensations of herbs, wild meadow-flowers, citrus and exotic fruits. On the palate it awakens notes of acacia honey, rosemary and sage, with a pungent tastiness. Alcohol: 13% vol. A gifted accompanist for dishes with white meat, fish, fresh cheeses and vegetables. The refined wines produced by Elvio Cogno hail from the town of Novello, in the Langhe, on a hill called Bricco Ravera. They are vinified in wine cellars in the 18th century villa which constitutes the company's base. All products are created with total respect for family tradition and express the true age-old flavours and fragrances of Piedmont. The vineyards are run with loving care, without forcing, with respect for nature's rhythms. Thus are born and raised wines drenched with emotion and belief.